Share a symbol of hope with this radiant display. This item is hand arranged and decorated by a professional florist. 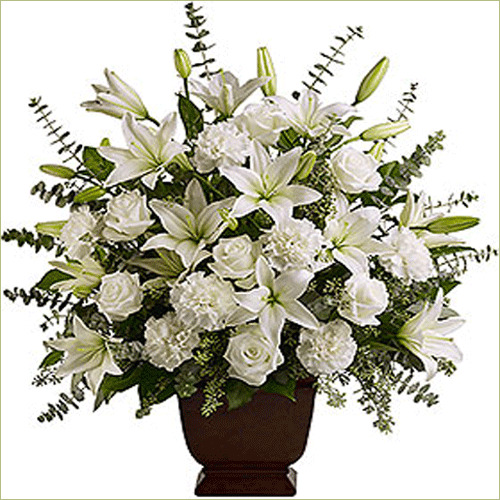 Standard display includes 32 stems. Deluxe display includes 38 stems. Premium display includes 44 stems.